Tall plus size t-shirts are an essential part of your wardrobe because, let's face it, who doesn't love the basic tee? Made out of soft, cotton fabric that feels great on the skin, nothing gets more comfortable and could be more versatile. You can wear tall plus size tee shirts, whether short-sleeve or long-sleeve, for just about any activity...shopping, lounging, exercising, sleeping, and more. Throw one on with your favorite pair of plus size tall jeans and you're good to go for the entire day. Speaking of comfy styles, I can't forget to mention another wardrobe staple...tall plus size tanks. These basic tops are just as versatile as tee shirts and are essential during the hot, summer season. Tall tanks can, also, be used as a layering piece under a cute, trendy top. Or pair them with tall plus size pajama pants for a good night's sleep. Honestly, you really can't have too many extra long tanks in your dresser. And, with the huge variety of colors and styles out there, it won't be long till you have a large stash on your hands. Eddie Bauer - $$ | to Size 22 | Casual and outdoor styles as well as professional businesswear. Most of the entire women's collection including jeans, pants, tops, dress shirts, sweaters, dresses, skirts, suits, outerwear, sleepwear, and swimwear are available in tall. Ladies pants and denim have a 36" inseam. Plus sizes available. Shop online or at retail locations. Gap - $$ | to Size 16 | Fashionable, trendy apparel. Variety of long size jeans and pants in up to 37" inseams with select styles in 38" inseams. Also offers tops, tees, tanks, blouses, sweaters, dresses, skirts, coats, jackets, and maternity in tall sizes. Select the Women's Tall option to view all tall clothing. Shop online or at retail locations. JCPenney - $ | to Size 20 | Fashionable, classic-style clothing. Tall and ultra-tall size jeans and pants in up to 37.5" inseams. Also offers tops, sweaters, skirts, capris, suits, jackets, businesswear, activewear, sleepwear, swimwear, and maternity in tall sizes. Select the Talls option under Women's apparel to view collection. Shop online or at retail locations. Jessica London - $$ | to Size 28 | Specializes in plus size clothing. Find plus size tall jeans and pants in up to 35" inseams. Also sells tall plus size t-shirts, tanks, tops, dresses, skirts, suits, jackets, and coats. Select the Talls category in the Clothing section. Land's End - $ | to Size 20 | Classic, casual style. Plus size tall jeans and pants in up to 36" inseams. Free cuffing and hemming available on select items. Also offers tall ladies sizes in tops and swimwear. Select Tall option in Size Range drop-down menu in Women's section. 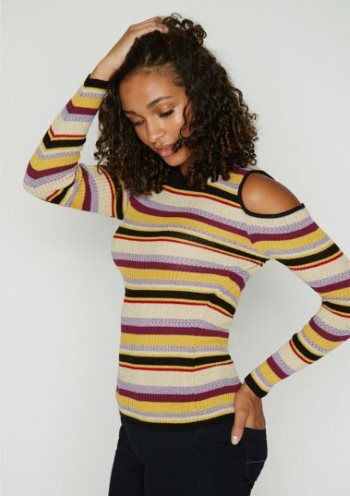 Also in the U.K.
Long Tall Sally - $$ | to Size 20 | Specializes in clothes for tall women. Tall jeans and pants in 34" to 38" inseams. Also offers women's tall clothing such as tops, sweaters, dresses, skirts, suits, coats, activewear, sleepwear, swimwear, and maternity. Shop online or at retail locations. Based in the U.K. Also in the U.S. and Canada. Old Navy - $ | to Size 20 | Casual apparel targeting the younger crowd. Offers junior plus size tall jeans and pants in long (34" inseam) and tall (36" inseam). Shop by inseam. Also has inexpensive tops, tees, tanks, dresses, skirts, shorts, jackets, activewear, and maternity in tall sizes. Shop online or at retail locations. One Stop Plus - $ | to Size 44 | Specializes in plus size clothing. Find plus size tall jeans and pants in up to 35" inseams. Boot-cut, flared, and plus size skinny jeans styles. Also sells tall plus size t-shirts, tanks, tops, dresses, suits, jackets, coats, and activewear. See the Tall Plus category in the Clothing section. Roaman's - $ | to Size 44 | Specializes in plus size clothing. Find plus size tall jeans and pants in up to 36" inseams. Also sells tall plus size t-shirts and tunics in long lengths. Select the Talls category in the Clothing section. Woman Within - $ | to Size 44 | Specializes in plus size clothing. Find plus size tall jeans and pants in up to 35" inseams. Also sells plus size t-shirts, tanks, tops, and suits. 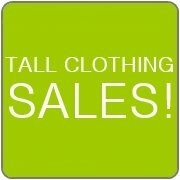 See the Tall Plus category in the Clothing section.